Marcie From "Down Under" : Happy Mothers Day! Happy Mother's Day to you, Marcie!!! That butterfly is fabulous, as is the whole card. Just gorgeous! Oh I think this is GORGEOUS! 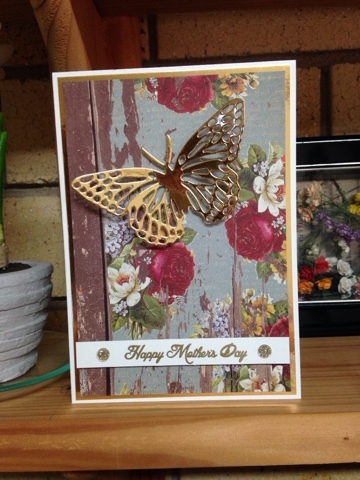 From that beautiful foiled butterfly to that fabulous Designer Paper! Love!